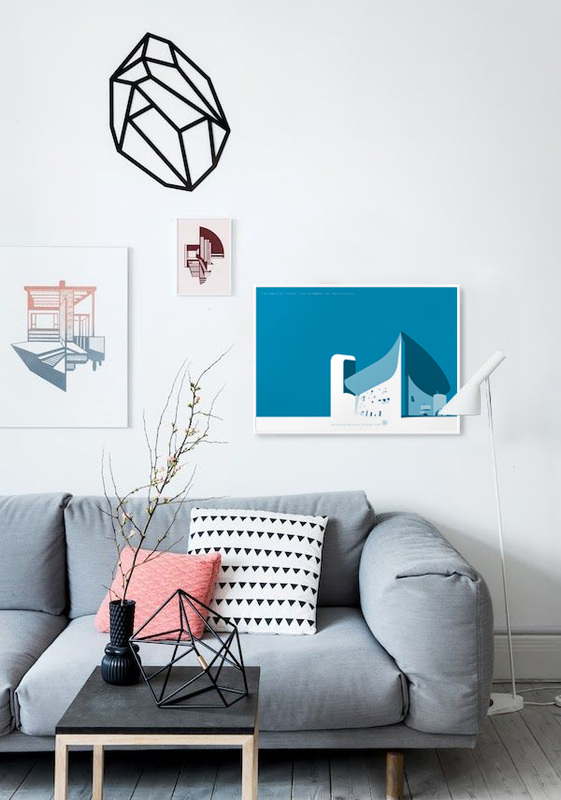 October 5, as everyone who follows Minimae knows, was the International Day of Architecture, and this event has led us to decide to debut a series of posts related to the Icons of World Architecture of the 20th Century, according to Minimae. What’s all this about? It’s very simple. While studying and selecting these 20 icons (of which you only know 5 at this point…), we realized that, besides being magnificent projects, they were chock full of magnificent anecdotes. There’s no way around it: grand icons have grand stories to tell. We’ll start with Minimae’s favorite icon (which likely won’t be the same as yours – beauty is in the eye of the beholder). 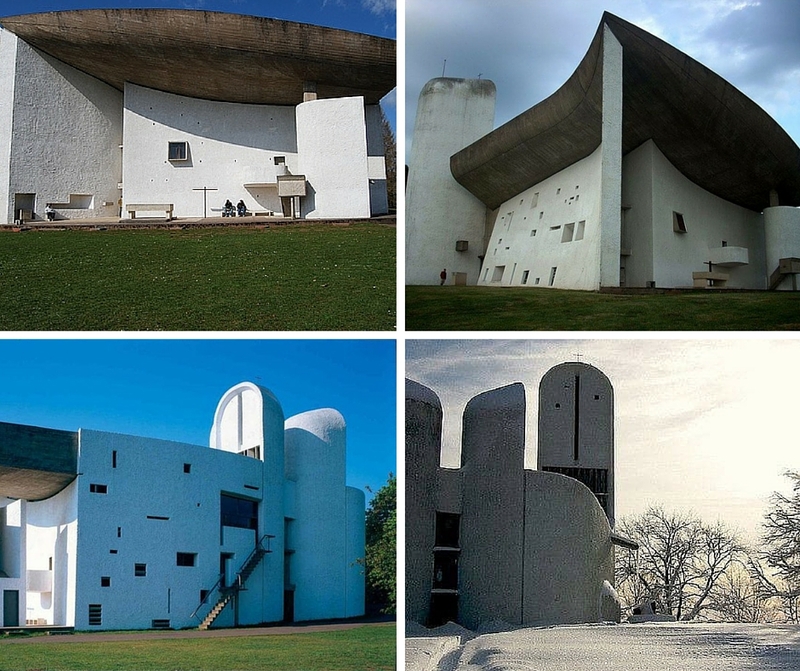 Today we’re talking about 11 facts that you DIDN’T know about the chapel of Notre Dame de Haut by Le Corbusier. 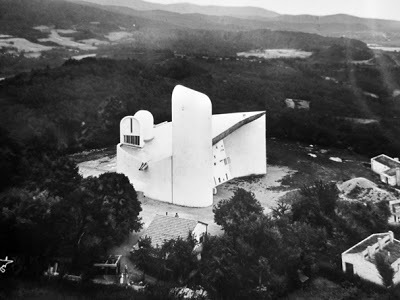 1- The chapel in Ronchamp is so unusual for Le Corbusier’s style that itdeparts from all of his principles of construction. We doubt that if you saw it for the first time without knowing its history, you’d be able to name the architect. 2- Le Corbusier was obsessed with the hill in Ronchamp where it is situated, and that obsession was because it was possible to see the horizon, preferably blue, from its four sides. 3- Besides that, the hill had always been a sacred place. Currently the chapel is a Catholic one, but previously it belonged to the Celts, who turned that same spot into a strategic place to worship the sun. 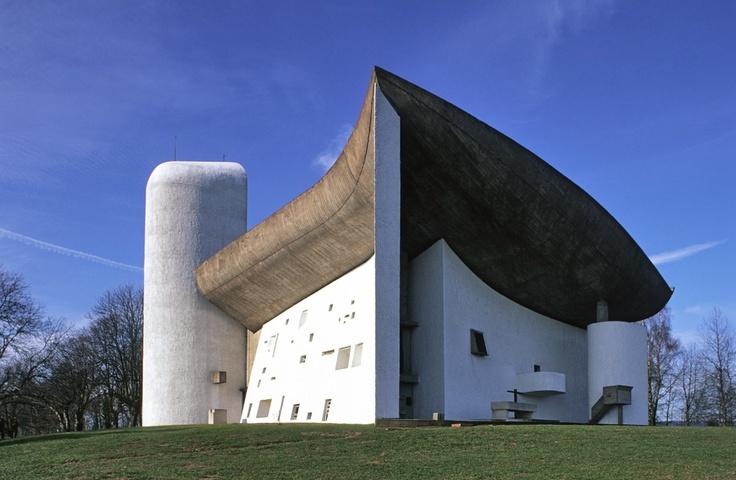 4- And the previous point was also an obsession for Le Corbusier, who was convinced that it was a sacred place, a point of energy that connected the hill with its surroundings. 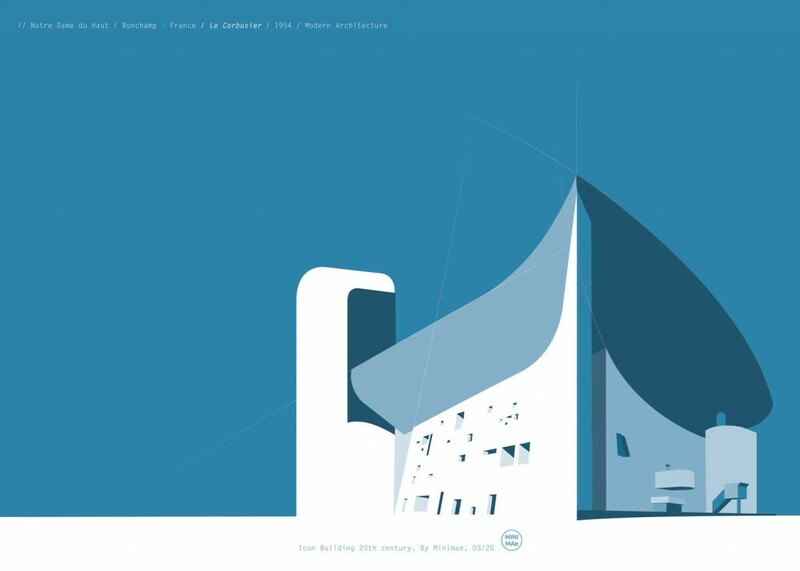 5- Le Corbusier also conceived the chapel in the style of the Acropolis. You can only see it in its entirety when you reach the end of the path up the hill, after climbing all the way up. 7- In 2011, architect Renzo Piano inaugurated the expansion of the chapel, which in no case would interfere with its vision, but merely “open it to the landscape”, as the architect said. 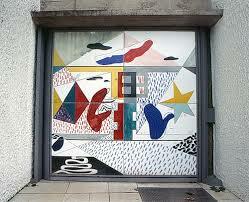 8- The main door of the chapel contains artwork by Le Corbusier himself, which in this case is fairly representative of his style. 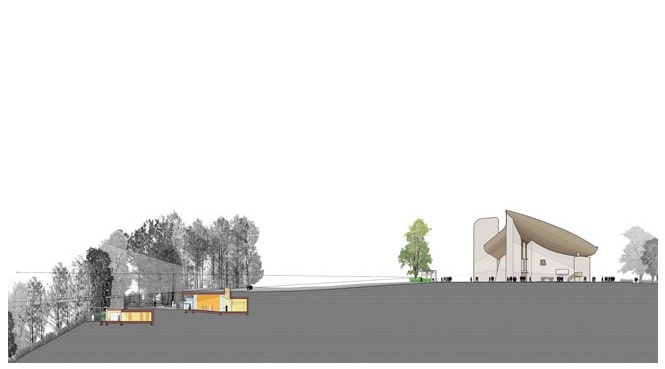 9- Frank Gehry says that the biggest problem with the chapel is that “it is impossible to observe it without crying”. 10- Despite its grandiose organic shapes, the interior of the chapel is rigorously sober, where cement, concrete and diaphanous spaces are the main elements. 11- And the light. Because the light inside the chapel is one of the reasons why the great Frank Gehry couldn’t stop crying when he was inside it. 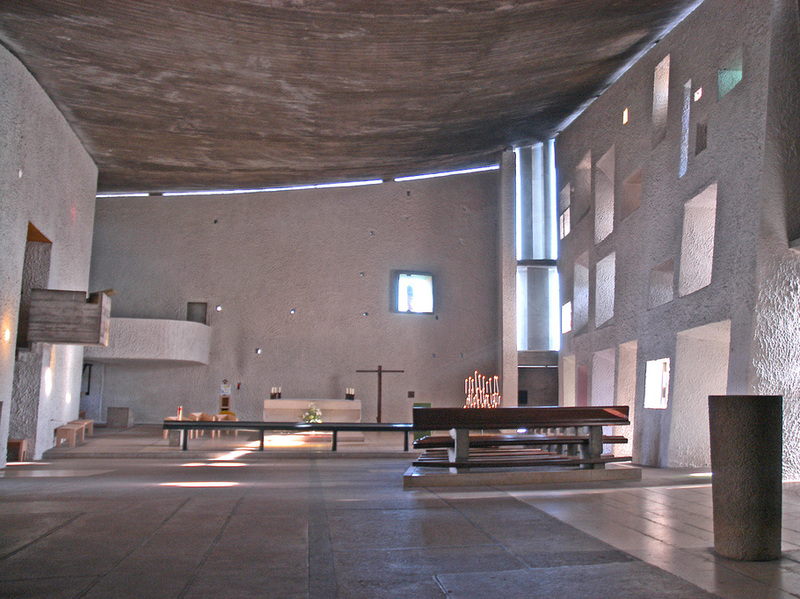 Interior of the chapel of Notre Dame du Haut. Divine light?